This is probably the most impressive gaming feat of 2015 so far. For those that don’t know, Bloodborne offers a number of different classes. One of the available classes is called “Waste of Skin,” and the description for it reads, “You are nothing. Talentless. You shouldn’t have been born.” One ridiculous player took this as a challenge, and decided to not only go through Bloodborne as the Waste of Skin class, he also never leveled up. Not only that, but he never used his gun, either. I kid you not. 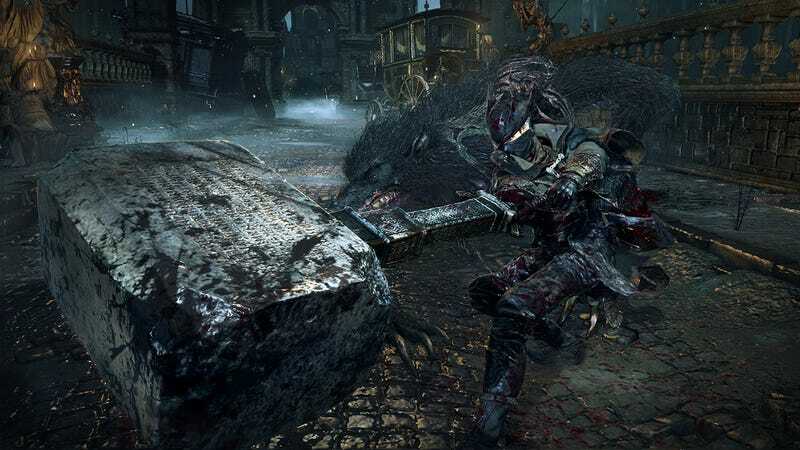 There were no visceral attacks in this playthrough of Bloodborne, and as Bloodborne players know, visceral attacks are the key to inducing massive amounts of damage on enemies. The battle takes about twenty minutes total, and it’s very tense—as I was watching, my hands started sweating, and I’m not even playing the game! Thing is, the player’s health is so low, he dies with only two hits from Gehrman, the final boss of the game. In order to win, BOYvsVIDEOGAME has to play a practically flawless game. It’s awe-inspiring to see him move with such deliberation, and attack so precisely. He knows the battle inside and out. Overall, it took BOYvsVIDEOGAME ten days to accomplish this feat. The battle against Gehrman in particular took many, many tries, as evidenced by older uploads on his YouTube channel. I’m still in disbelief that he pulled his off, but maybe I shouldn’t be. This is the same man that managed to solo through the entirety of Dragon Age: Inquisition on Nightmare Mode, the highest possible difficulty. He also beat Dying Light without ever using weapons. The guy is a beast. You can watch the rest of his Bloodborne no-leveling no-guns run here—it includes all of the boss battles leading up to Gehrman. In the future, he plans to do a Batman Arkham Knight playthrough with no skill upgrades, along with a variety of other challenge runs. Hell, maybe he’ll even come back to Bloodborne and beat the secret boss that follows Gehrman!